You're still picking up properties, but instead of money you have health points. Instead of paying for spaces, it's just first come first serve. Each turn you roll two dice, one that moves you forward and another that allows you to take an action. 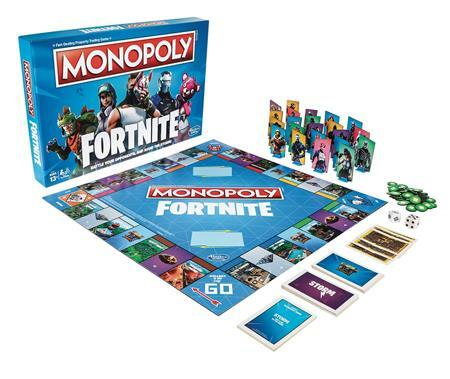 You'll be able to shoot a player on the same side of the board as you; build a wall on the space you're currently on to protect yourself from being shot; drop a Boogie Bomb, which causes each player to lose health; or apply a bandage to regain health. If you lose all your health points, you lose, and just like the video game Fortnite, the last player standing wins!